An external audit conducted by a former attorney general of Virginia revealed Gov. Bob McDonnell did not give preferential treatment to Start Scientific or Rock Creek Pharmaceuticals, but did set up a meeting between company representatives and government employees. Federal authorities continue to investigate whether McDonnell used the influence of his office to promote Star Scientific's anti-inflammatory supplement, Anatabloc, for Jonnie Williams and his company. They contributed more than $100,000 to McDonnell's political organizations and gave the governor's family personal gifts worth thousands of dollars. Former Democratic Attorney General and current Richmond lawyer Tony Troy found "no public funds, grants or contracts" given to Williams or Star Scientific by government agencies. Troy, who is McDonnell's state-appointed lawyer, also stated he found "no gubernatorial appointments were made to either Williams or any other officer of Start Scientific or Rock Creek Pharmaceuticals" during the McDonnell administration. First meeting, in 2010, Williams met with Secretary of Health and Human Services, Dr. William Hazel. 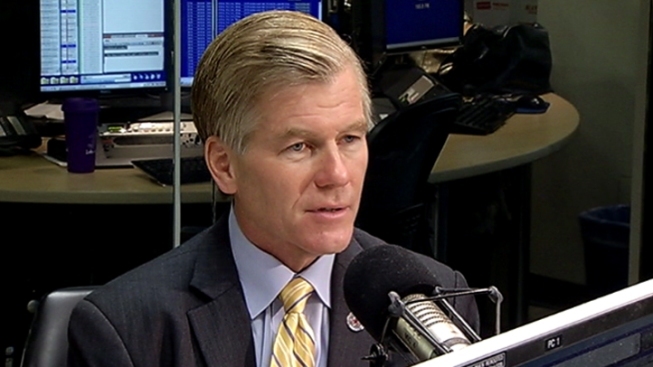 The Washington Post reported Wednesday McDonnell helped set up this meeting. In the first two meetings, Williams "made no direct requests for state benefits and Commonwealth officials promised none." In the third meeting, Dean wanted the Commonwealth to consider placing Anatabloc on a list of items available to state employees under their health plans. Troy says Wilson denied the request.